Seven minutes after a deputy radioed that the wind from a growing wildfire had shifted direction, dispatchers got a second call: A burn victim needed an ambulance. Five minutes later, another caller said several firefighters were trapped. Within the span of 12 minutes, the wildfire in Washington state went from being just one of many lightning-sparked blazes burning across the Pacific Northwest to the scene of the deadliest single wildfire this year in the U.S. Three firefighters were killed after their engine rushed up a steep gravel road and crashed down a 40-foot embankment near the mountain town of Twisp. Before they could escape, they were overrun by flames. Four other firefighters, who were nearby, were injured as they tried to escape on foot. Dispatch records from the Okanogan County Sheriff’s Office obtained by The Associated Press through a public records request detail the chaos of the Aug. 19 fire and coordinated response to the blaze that exploded during one of the driest and most explosive wildfire seasons on record. 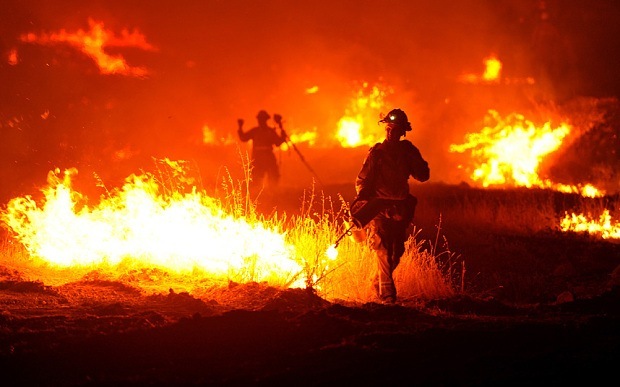 While the documents don’t say why the crash occurred or what attempts were made to save the crew members, they illustrate a common problem with wildfires that has yet to be solved: How to stay safe in unpredictable shifting winds while doing a job that is high-risk even on the calmest of days. Several major fires were already burning in drought-stricken area when the first 911 call reporting the fire near Twisp came in. At the time the fire was just two acre but actively burning, the caller said. A few minutes later, the U.S. Forest Service started sending firefighters — including the three who later died — and equipment to the area, located about 115 miles northeast from Seattle. Four fire engines with engine crews, a hand crew on foot, bulldozer and helicopter were part of the initial attack on the fire, said Keith Satterfield, a fire management officer for the Okanogan-Wenatchee National Forest. The firefighters killed in Washington were part of a specially trained unit specialized in sizing up wildfire. 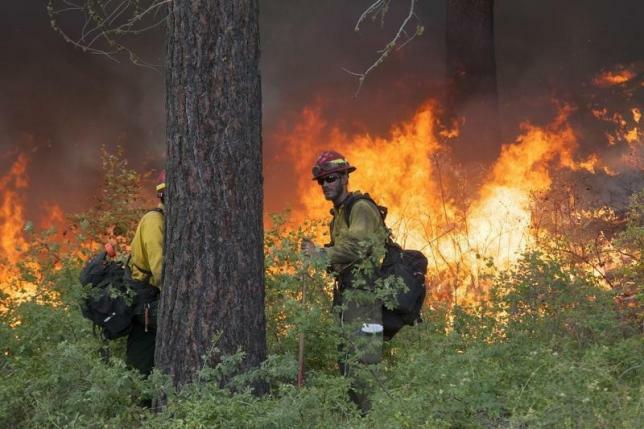 The U.S. Forest Service has launched an investigation with experts from other agencies, said spokeswoman Stephanie Neal Johnson. A memorial service for Tom Zbyszewski, 20; Andrew Zajac, 26; and Richard Wheeler, 31; is scheduled for 1 p.m. Sunday in Wenatchee, about 90 miles south of Twisp. Another firefighter Daniel Lyon, 25, remains in critical condition with burns over 60 percent of his body.